Kurt Geiger have a small capsule range of swimwear, it follows the Kurt Geiger shoe design ethos it’s full on flamboyance , it’s glamour and of course it just shouts I am different. This is not for doing laps in this is for looking fabulous as your recline back and soak up the sunshine. Make waves on your summer vacation with the Flower Patches Swimsuit from Kurt Geiger London. 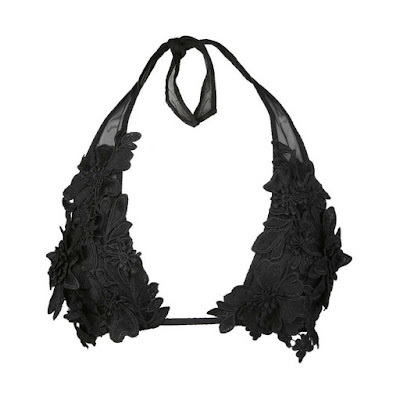 The floral detailing creates a feminine air while carefully placed sheer sections add a daring note to this black all-in-one swimming costume. The sequin floral detailing creates a glamorous air while carefully placed sheer sections add a daring note to this low back all-in-one swimming costume. Strike a playful note poolside this summer in Kurt Geiger London's Flower Patches Bikini. Ever flattering in black, this two-piece bikini features a halter-tie top with floral detailing and branded briefs with tie sides for the perfect fit.